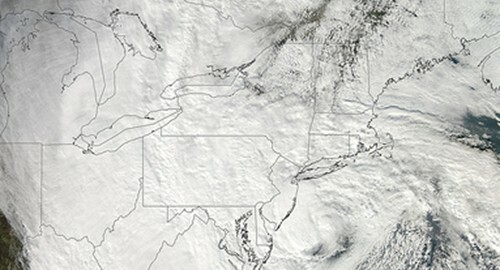 Hurricane Sandy devastated the Eastern Seaboard earlier this week, bringing high winds, rain and serious flooding to many areas. Millions are still without power and many – after evacuating for safety – are returning home to find their residences filled with water. Some individuals might start turning to alternative methods – such as personal loan servicing – to ensure that housing payments are still made on time. In an effort to provide relief to suffering families, U.S. Housing and Urban Development (HUD) announced that it will grant a 90-day moratorium on foreclosures and forbearance on foreclosures of Federal Housing Administration-insured mortgages. As reported by HousingWire, under Section 203(h) of the National Housing Act, HUD has a special mortgage insurance program designed to to assist homeowners whose residences are destroyed or damaged far beyond repair or replacement is eligible for 100 percent financing. There is also no required down payment. "Families who may have been forced from their homes need to know that help is available to begin the rebuilding process," HUD secretary Shaun Donovan told the news source. "Whether it's foreclosure relief for families with FHA-insured loans or helping these counties to recover, HUD stands ready to help in any way we can." When borrowers are given a payment plan designed from mortgage loan software, it will help to ensure that the monthly payment plans can adhere to their financial needs. That way, it can keep them away from the possibility of foreclosure. However, in September, the national foreclosure rate dropped, with five states accounting for nearly half of all activity. According to data from CoreLogic, California, Florida, Texas, Georgia and Michigan had the highest number of completed foreclosures during the 12-month period ending in September. California had the highest amount of homeowners losing mortgaged property with 108,000 with Florida in second with 92,000.